July 21, 2017	Comments Off on Dusan Petkovic in Sora! July 20, 2017	Comments Off on Pavel Kuklinski in Paris! June 22, 2017	Comments Off on Petar Premovic in Italy! Tupchii continues his career in France! June 7, 2017	Comments Off on Tupchii continues his career in France! 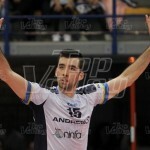 Starovic moves back to Italy! Mrdak moved from Greece to Portugal! May 23, 2017	Comments Off on Mrdak moved from Greece to Portugal! 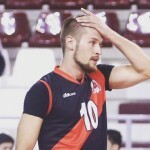 Krsmanovic one more season in Russia! 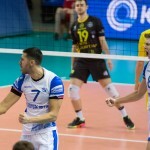 May 13, 2017	Comments Off on Krsmanovic one more season in Russia! Starovic and Terzis won 3rd consecutive title for PAOK! May 7, 2017	Comments Off on Starovic and Terzis won 3rd consecutive title for PAOK! 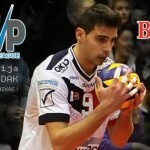 Lazar Cirovic continues his career in Italy! May 4, 2017	Comments Off on Lazar Cirovic continues his career in Italy! 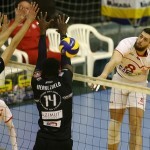 Krsmanovic in Play-Off Finall Six! April 27, 2017	Comments Off on Krsmanovic in Play-Off Finall Six!